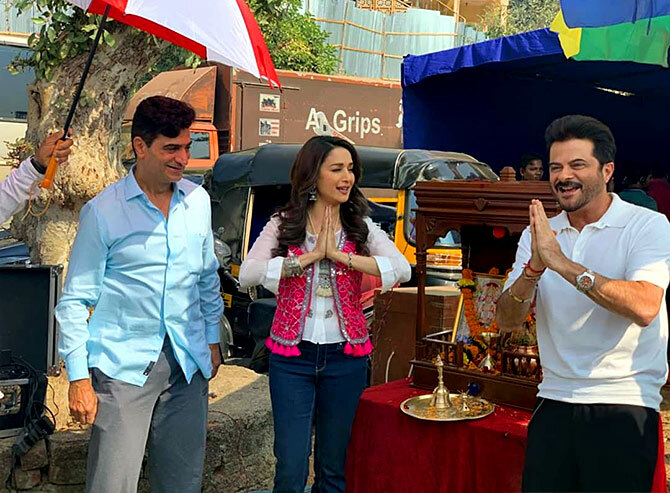 Madhuri tells Rediff.com Contributor Mohnish Singh, "Be it Beta or Raja, the way Indra Kumar gave women due importance in his films is praiseworthy. They are more than just eye candy." 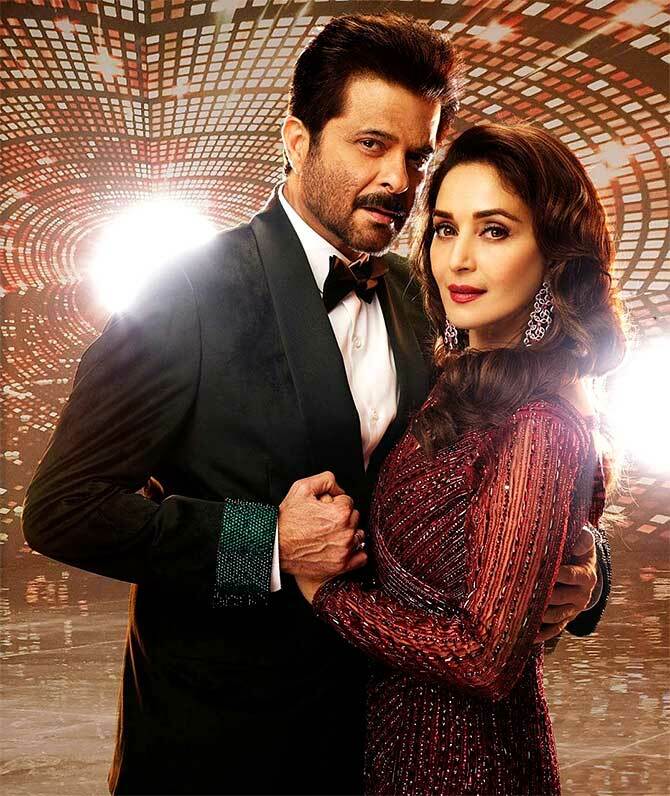 IMAGE: Madhuri does the Dhak Dhak in Beta. 2014's Gulaab Gang was your last Hindi film. You are returning to the movies after five years. Why did you take a break? I don't have just one responsibility, there are many. 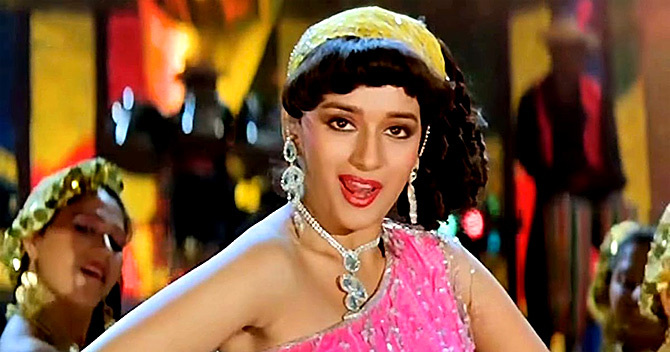 IMAGE: Madhuri in Tezaab's Ek Do Teen. It's not lack of creativity; it's just that they are trying to do something they are nostalgic about and recreate that on the screen in their particular way. Nowadays, films are more about box office numbers and don't have recall value as such. But people enjoy watching your films even today. I don't think films are only about box office numbers nowadays. Wonderful content-driven films are being made. Women are getting good parts to play. Tabu's role in Andhadhun was fabulous. IMAGE: Naseeruddin Shah and Madhuri in Dedh Ishqiya. 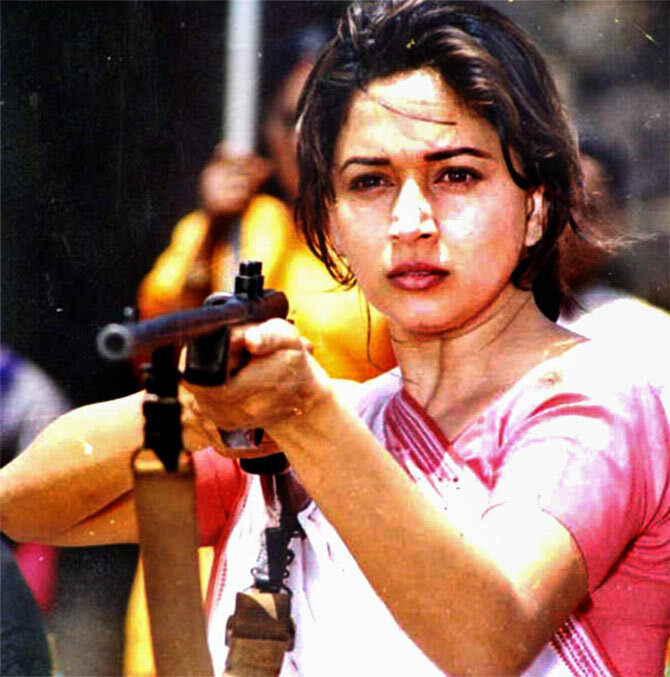 IMAGE: Madhuri Dixit in Mrityudand. What was the real reason for your exit from Subhash Ghai's Karma in 1986? 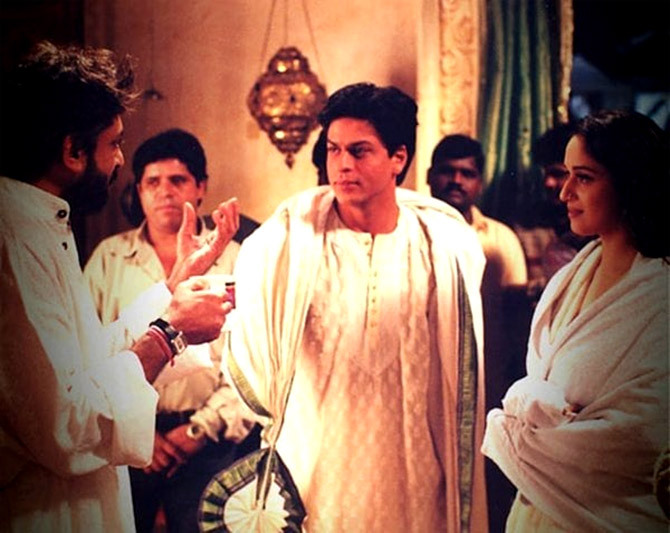 It was Subhash Ghai's decision to cut the song from the film. That's how I landed the role in Ram Lakhan. Mrityudand would have definitely worked in today's times, as it was rich in content and dealt with an issue which is relevant even today. 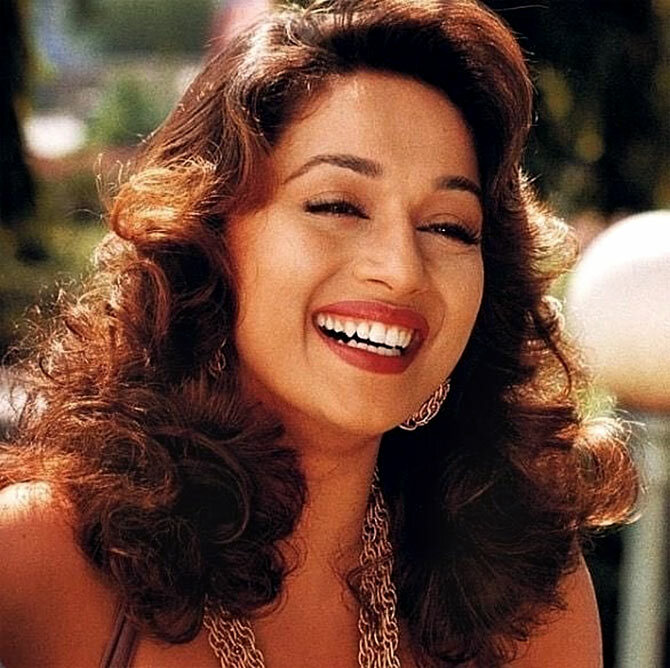 Hum Aapke Hain... Koun!, as there is something evergreen about that movie. You can watch it again and again.